With artificial intelligence on the rise, so too is the consumer’s desire for instant gratification. So which software do most website visitors prefer, chatbots or live chat? As businesses look to artificial intelligence to enhance customer service, it is increasingly difficult to find the right balance between automation and human support to deliver the service customers demand. One of the more prevalent tools marketers are looking to is chatbots. With the ability to provide customers with instant responses, answer basic questions and resolve complaints quickly, it is easy to see why chatbots are viewed as a tool that enhances the customer experience. Innovations like Facebook Messenger, Snapchat, WeChat and WhatsApp have contributed to making this a popular method of communication for many consumers. 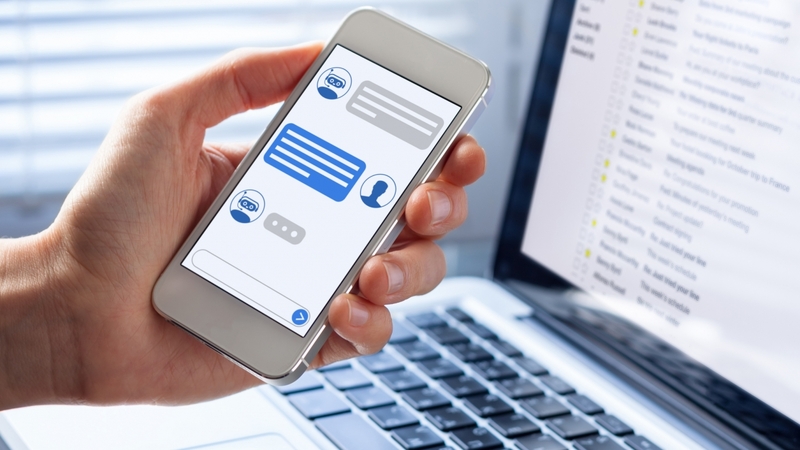 While chatbots may seem like the way of the future, new research suggests automated chats may not be all they are cracked up to be, at least in the eyes of the consumer. In fact, according to the survey by NewVoiceMedia, 75 percent of consumers prefer to have their customer service inquiries handled by a live agent over a chatbot. “When a situation becomes emotional or complex, people want to engage with people”, said Dennis Fois, President of NewVoiceMedia. Think of it this way: When you call a company, would you rather listen to an automated system that runs through a list of options OR would you rather talk to a real person? I think we all know the answer. So why should it be any different on a website? Try to recall a time when you used live chat on a website. How was the experience? Was there a live agent to help guide you, or did you end up in a dead end conversation – once you realized it was a chatbot? This is where the differences between the software becomes clear. Live chat agents will proactively engage your website visitors, guide them throughout your website, steer them in the right direction and perhaps most importantly, provide a level of personal service for your potential customers. Even at this point, few chatbots are capable of operating at the level necessary to provide a potential customer the help they need. At best, after a few years, your chat will have gained enough intelligence to consider some of the countless possible questions and conversation trees. At worst, with a chatbot, you’ll have an interactive FAQ. Improving chatbot capabilities’ is still a work in progress. Having chatbots perceived as human during an interaction is the goal for artificial intelligence developers. The reason – people still prefer to engage with people. To schedule a one-on-one webinar to discuss the benefits of live chat, click here.